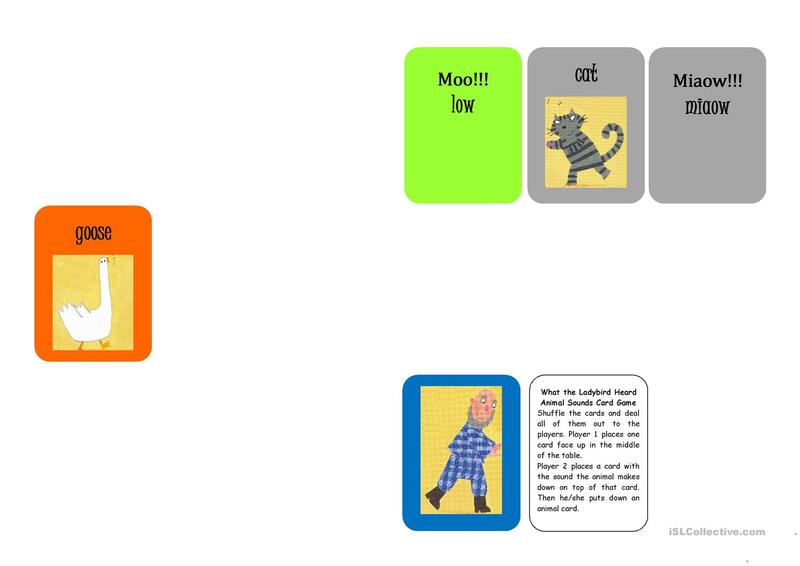 This is a card game that enables to learn the names of the animals of the farm and their calls (sounds + verbs). 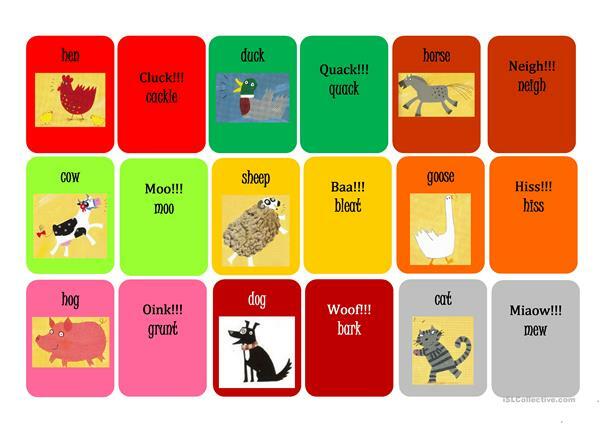 It can be used to introduce the present simple as well as the vocabulary of the book by Julia Donaldson. 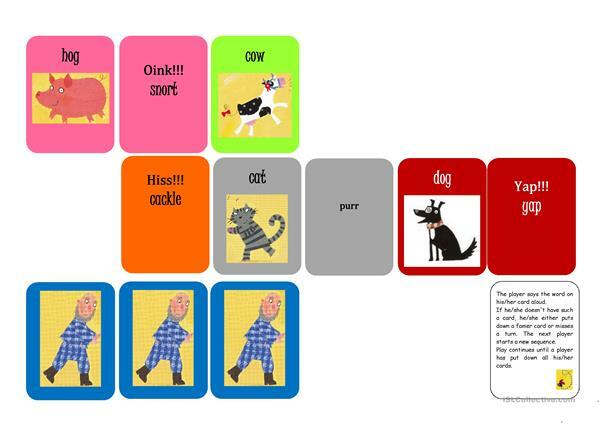 The present downloadable printable is intended for elementary school students at Beginner (pre-A1), Elementary (A1) and Pre-intermediate (A2) level. It is valuable for consolidating Present simple tense in English, and is a valuable material for honing your pupils' Speaking skills. It is focused on the theme of Animals.